The Nikon D810 is an excellent camera that’s well-suited to landscape, still-life and macro photographers, yet is also capable of delivering superb sport, action and wildlife photos. The Nikon D810 has a lot to live up to. It replaces two SLRs popular among enthusiast and pro photographers in recent times: the D800 and the D800E. These two cameras are identical apart from the fact that the D800E has a weaker anti- aliasing (AA) or optical low-pass filter over its sensor. They are especially popular with landscape photography lovers, who want something a bit lighter (and more affordable) than a medium-format camera. Given the effective 36.3MP count of the D800, it’s no surprise the D810 has the same number of photosites on its sensor; but it also uses a newly designed chip and Nikon’s Expeed 4 processing engine. Unlike the D800E, the D810 has a filter with no AA properties at all. This should help it record more sharp detail. Other changes from the D800 include a higher-resolution rear display, the ability to record small Raw images (useful for animators) and the D4S’s AF system with Group-area AF mode. The move to the Expeed 4 processing engine also takes the maximum continuous shooting rate at full resolution up from 4 to to 5fps. Alternatively, the D810 can shoot at 7fps in DX format and record 15.3MP images. Helpfully, the buffer capacity has also increased: the D810 can record 47 lossless compressed 12-bit Raw files in a single burst rather than 21, or 23 uncompressed 14-bit Raw files instead of 16. You can set sensitivity in the native range ISO 64-12,800, and there are expansion settings of ISO 32-51,200, giving greater scope for shooting at wide apertures or in bright conditions as well as better low-light capability. The D810’s video capability improves on the D800, with the ability to shoot at 50p and 60p, and a Zebra display mode that shows areas close to burning out. There’s also a new Flat Picture Control mode, which reduces sharpening and contrast to maximise dynamic range for better post-capture grading. In another change to Picture Controls, it’s now possible to adjust image clarity or micro-contrast to give an impression of greater (or reduced) sharpness without over-emphasising edges. Furthermore, Nikon has given the D810 a new shutter and mirror-box mechanism that it claims reduces vibration, giving a steadier viewfinder image with less blackout for better autofocusing and sharper images. Vibrations can be further reduced by using the new electronic front-curtain shutter in Mirror Lock-Up or Exposure Delay mode. Any D800 owner who picks up a D810 will feel at home. There are only a few design changes: the rear grip is a little more pronounced, the front grip is slightly more ergonomically shaped, and the memory card door feels more durable. The changes to the grips make the D810 feel a fraction more comfortable and secure. The metering switch on the back of the D800 has also gone, making the AE-Lock/AF-Lock and AF-on buttons easier to operate with the camera held to the eye. Metering options are now accessed via what was the bracketing button, above the drive mode dial on the top. We generally prefer a switch or dial for setting selections because it’s usually quicker and easier, but the change to a button for metering isn’t a deal-breaker. The most noticeable difference is the introduction of an ‘i’ button on the back. This gives access to some key settings, such as Active D-Lighting, and it works in the same way as it does on Nikon’s other recent SLRs. It is particularly useful when shooting in Live View or Video mode, and it provides the means of accessing the Split-screen view. However, as we have said before, it seems strange having options to change some of the customisation settings via this information screen in reflex shooting mode. It would be better to keep the options for changing the functions of the preview and Fn buttons, for example, in the main menu. This would free up space in the information screen for features such as Exposure Delay that may need to accessed on a shot-by-shot basis. We’d also like to be able to make adjustments via the Information display that pops up when the Info button is pressed. As it stands, this displays key camera settings, but they can’t be changed. It feels like a waste and a bit of an overlap in buttons. D800 users will notice straight away that the mirror and shutter movements are much quieter and feel more dampened in the D810. It makes the camera much more discrete and zooming in on the Nikon D810 conveys a sense of better quality. Another operational difference becomes apparent in Live View mode, where the D810 displays images much more quickly after a shot has been taken than with the D800. The contrast-detection autofocus system, however, operates at a similar speed. It’s not a patch on that of a CSC, the camera is on a tripod, the optimum aperture is set and exposure delay is employed along with the front shutter, and that the subject is motionless. At ISO 100, 1/250 sec and f/8 however, you can expect to be scrutinising the weave of the shirt in a head-and-shoulders portrait and nodding contentedly that the pixel count is worthwhile. Even a shot taken in low light at ISO 3,200 can withstand being viewed at A2 size. Our lab testing indicates that using the front shutter instead of the standard unit makes a slight but insignificant difference to detail resolution, but it’s possible that the degree of impact varies with the solidity of your tripod. Using Exposure Delay mode, which fires the shutter a little after the mirror has lifted, however, has a dramatic impact. You won’t necessarily see obvious movement, but the image lacks the detail resolution that you get when it is employed. Although they have a little more detail if you really look for it at normal printing sizes, images direct from the D810 don’t look dramatically different from those from the D800. As a rule they have pleasant, vibrant colours, natural white balance when the Auto setting is used, and good exposure in most conditions when the Matrix metering system is used. Noise is generally controlled well, and shots taken at higher sensitivity settings look very good at normal viewing and printing sizes. Examining these images at 100% on-screen reveals that noise has a finer texture from the D810 than from the D800; there’s less smoothing or clumping. This may make the noise more visible to our lab testing system, but it helps with the impression of detail. Given that the D800 already had a 36MP sensor, it seems unreasonable to expect more in the D810’s sensor. Many D800 users already mention (or complain) about the size of the files and the need to upgrade their computer and storage capacity. The tiny photosites are also susceptible to very small movements which means that the camera often needs to be on a decent tripod and used in Exposure Delay mode to get any benefit. Without these ‘rules’ being obeyed, there are times when you may as well have a lower-pixel-count camera that delivers manageable file sizes. However, just about everything else that’s important has changed. The sensor and processing engine are new and allow a non-expansion sensitivity setting of ISO 64, which allows you to extend the exposure time that little bit further without needing a neutral-density filter. The updated AF system is fast and accurate, the main screen has a higher dot count and the maximum continuous full-resolution shooting rate has gone up by 25%. Oh, and the images are superb. With its new 30.4MP image sensor, we were very impressed with its clean results and its 4K video. It doesn’t have the AF speed of the D810, but this full-frame CSC can match the SLR for resolution with a smaller body. 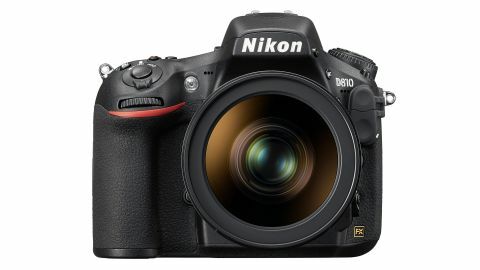 The D800 should be available at a bargain price for a while new and secondhand. It’s still an excellent camera.